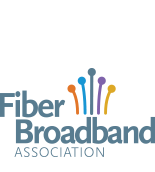 The FTTH Council applauds the FCC for taking this step to further enable deployment of fiber to the home. Communities are hungry for bandwidth — for their economies, healthcare, education and quality of life. Citizens should be able to use all available assets to encourage all entities — ILECs, CLECs, utilities and municipalities— to deploy leading edge, future proof networks. Bandwidth should not be a barrier to innovation, nor outdated regulation a barrier to investment.